In case you missed the memo, Marvel Comics is giving access to their online archives for just 99 cents. Definitely worth a look, I'd say. 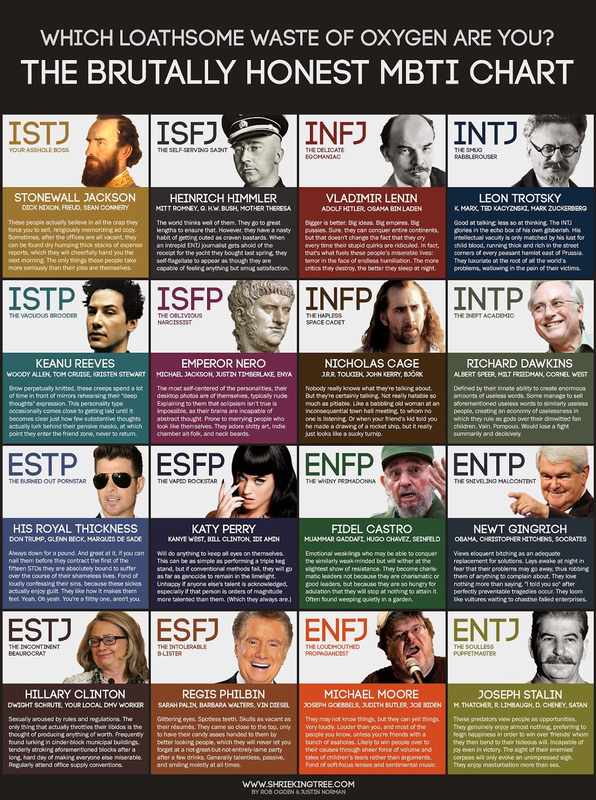 If you've ever taken a Myers-Briggs test and want to know the truth - not just the nice things they say about you to make you feel better about yourself - you should probably check this out. Apparently, I'm similar to a babbling old woman at an inconsequential town hall meeting, but I'm in the same category as Tolkein, so I guess I'm okay with that. RPGPundit pointed me to this one. Here's an interesting concept: a revised version of the D&D 3.5 system. I know, I know... we already have Pathfinder. Still, could a second look at the same system be that bad? Maybe Trailblazer by Badaxe Games is worth checking out.